Bye-bye bifocals. 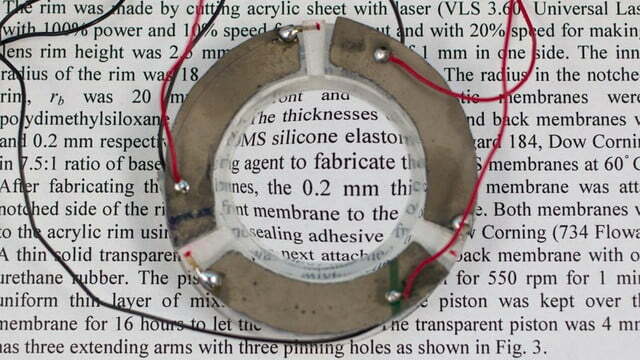 A new pair of smart glasses from the University of Utah may have just eliminated the need for spectacles. According to researchers, these new smart glasses come with liquid lenses that can automatically adjust their focus, which means that you don’t have to take reading glasses on and off. This can also replace bifocals, which help you see through one prescription at a distance, and another for nearby objects. 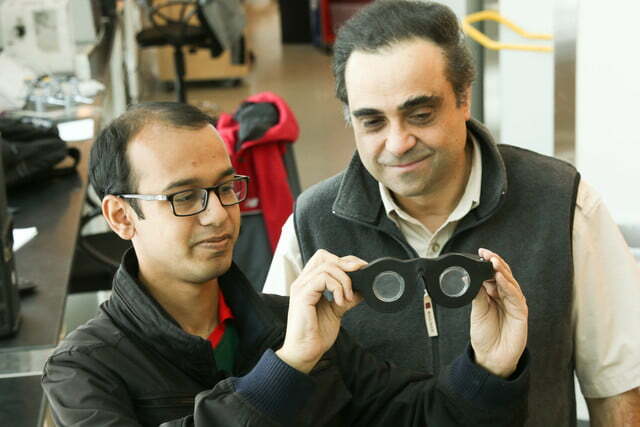 “The major advantage of these smart eyeglasses is that once a person puts them on, the objects in front of the person always show clear, no matter at what distance the object is,” Carlos Mastrangelo, the electrical and computer engineering professor who led the research with doctoral student Nazmul Hasan, told Smithsonian Mag. The sight problem most people have as they get older lies in their eye lens’ inability to change shape in order to accommodate different distances. Today, this is remediated with reading glasses or bifocals, but in the future, those may not be necessary. The prescription glasses you wear now don’t help your eyes adjust to different distances — instead, they just change the range of what your eyes can focus on. That means that when you don a pair of reading glasses, you can see up close, but you’ll have to take them off to see far away. But the new smart glasses hope to remediate this problem. 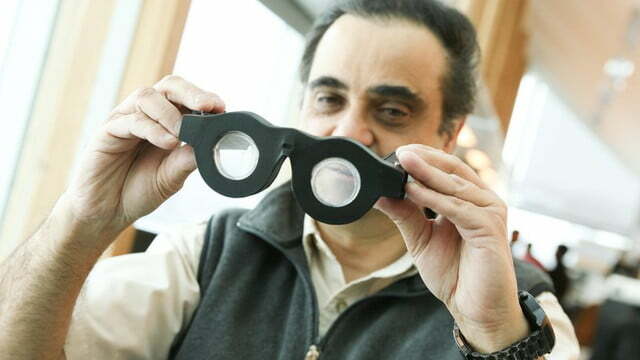 With lens that are made of glycerin enclosed in flexible membranes, these glasses are a novel approach to eyesight problems. And like all the latest smart objects, the glasses come with a companion app. 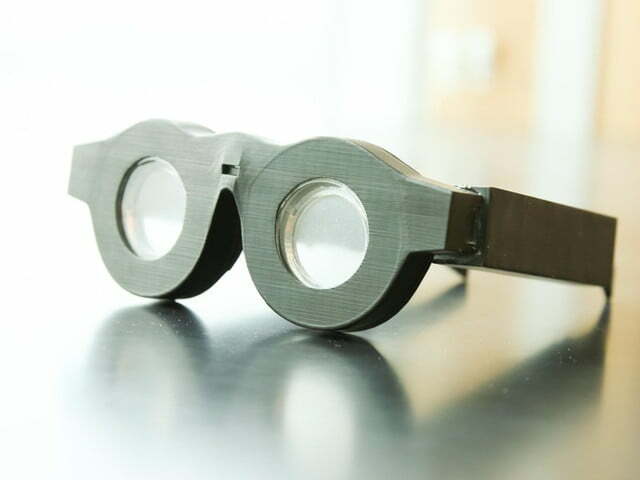 By making use of a wearer’s prescription, the app can automatically calibrate the smart glasses’ lenses by way of Bluetooth. If your prescription changes, just update the app with your new information. “This means that as the person’s prescription changes, the lenses can also compensate for that, and there is no need to buy another set for quite a long time,” Mastrangelo said. Don’t get too excited, though. The glasses have yet to undergo formal testing, and today’s prototype isn’t exactly fashion forward. But Mastrangelo hopes that within the next two or three years, we may have a pair of smart glasses that will change the way we see — in every sense of the word.